The patterns observed in the croaking of frogs can be applied to telecommunications to avoid interference in data transmission and save energy, according to the findings that a group of Japanese researchers have explained to Efe. A scientific team from the University of Tsukuba (center) led by the researcher Ikkyu Aihara created a mathematical model based on the sounds emitted by these amphibians that allows to avoid the errors of data transmission between devices connected to a network. When a group of computers or smartphones transfer information at the same time through a network, there is a "collision between data packets" that prevents these devices from "sending or receiving" in a fluid way, Aihara told Efe. The researchers studied the croaking of four groups of three male frogs and found that the animals were able to control the intervals of their calls to avoid overlapping each other, on a short time scale. Also, over a longer period, amphibians were able to collectively synchronize their songs or move to a state of silence. "We observed that, when one frog croaked, the next one started and followed the song simultaneously, something that we then apply to several devices," the study leader explained in a telephone interview. From the analysis of 16 hours of recording, the researchers extracted a mathematical formula that allows to apply the pattern of the sounds of the frogs to the transmissions of data between devices contacted to a network. 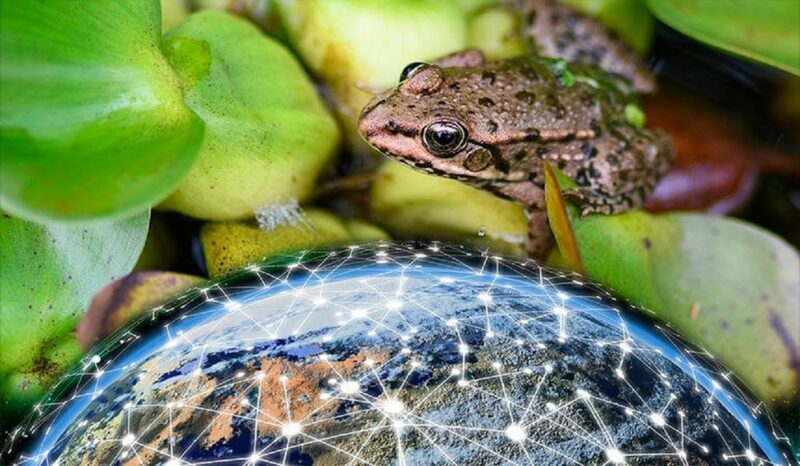 The simulation carried out with 100 devices showed that, like frogs , the machines adapted the data transmission interval to avoid interfering with shipments from nearby devices. Also, after applying the formula, neighboring nodes could jointly change their status to generate greater connectivity between them, which, in turn, significantly reduced energy consumption. The study, published by the Royal Society of London, concludes that this new mathematical model "reduces the probability of collision of data packets, decreases energy consumption and improves overall communications.